Van's Views - Hair, Beauty, Nails & Lifestyle Blog: Suzy the Spud gets an OMG makeover!!! 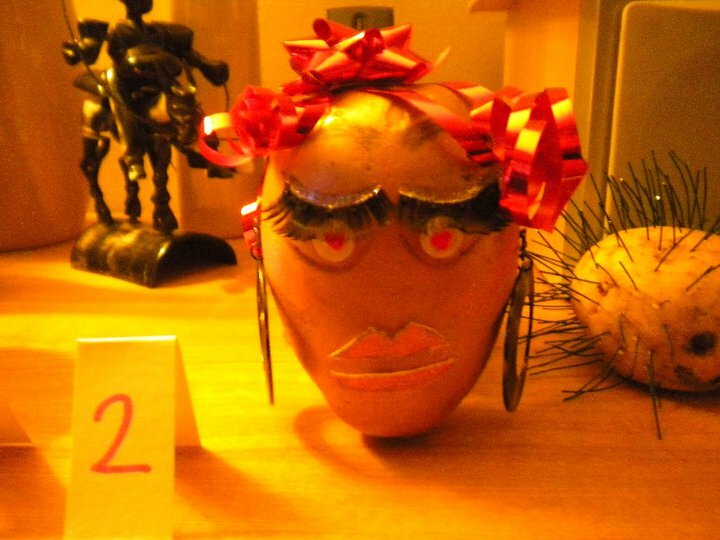 At a recent Spud party with friends, OMG Suzy came fourth place in the best spud competition. Spud nights are set to be the next best thing when staying in. Invite your girlfriends, the host cooks the jacket potatoes, and guests bring accompanying food - cheese, beans, coleslaw, chilli, dessert and of course, loads of booze! Suzy came fourth, she was beaten by a sheep, a father christmas and a mexican!! OMG donated the winners prize of a goody bag!